Senior veteran, Bernardine Chin, only started running regularly one year ago, and already, she has completed 2 Ultra Marathons, 3 Full Marathon and 2 Half Marathons; not to mention many more shorter distance trail and road races. 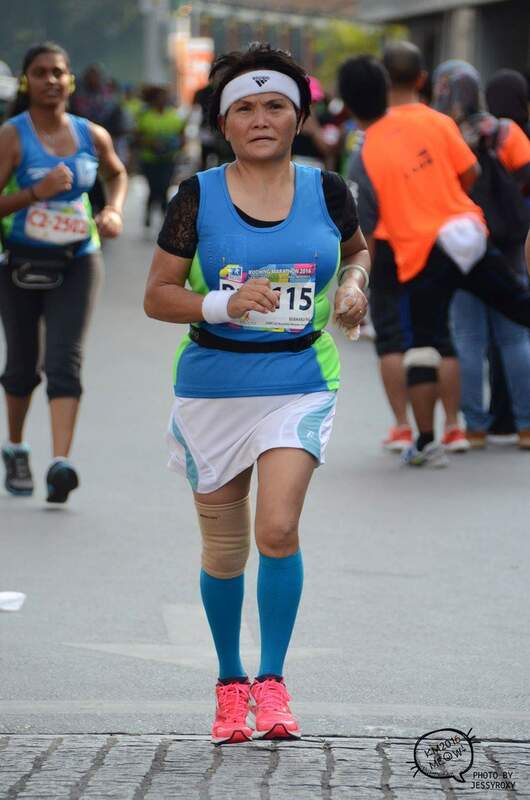 On 21-August 2016, Bernardine will celebrate her running anniversary by running in her 1st PJ Half Marathon 2016 after recently having completed her grueling consecutive back-to-back Standard Chartered Kuala Lumpur Marathon 2016 and Kuching Marathon 2016. 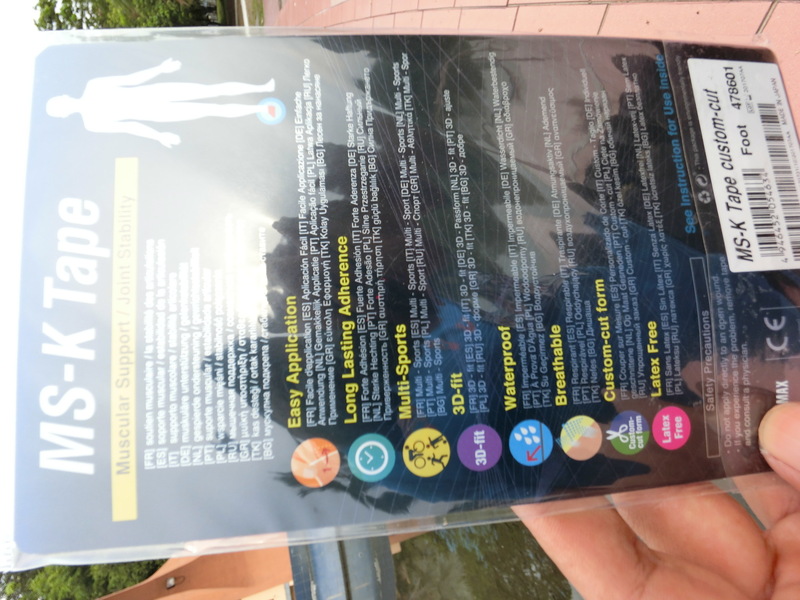 Due to Bernardine’s hectic running schedule, Bernardine has been experiencing soreness in her feet when she runs for long durations. 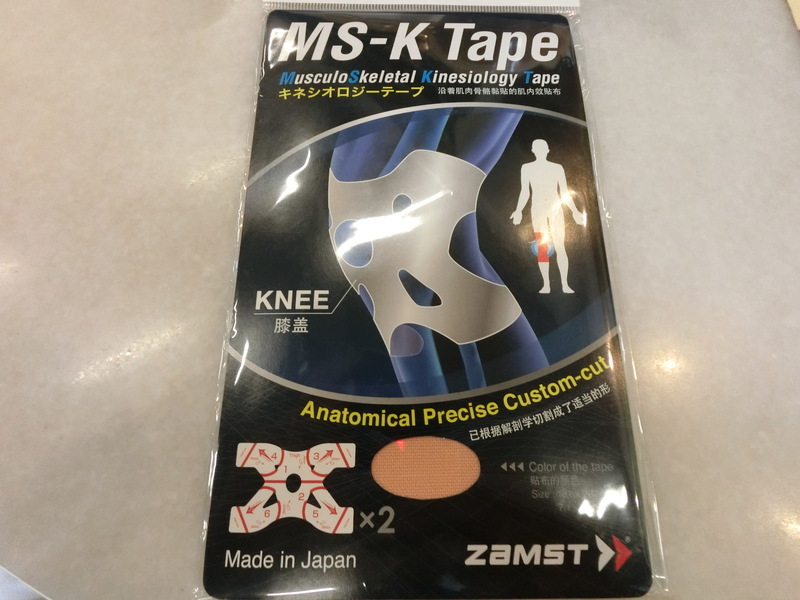 So, I recommended using KAMST MS-K (Musculoskeletal) Tape from Japan. 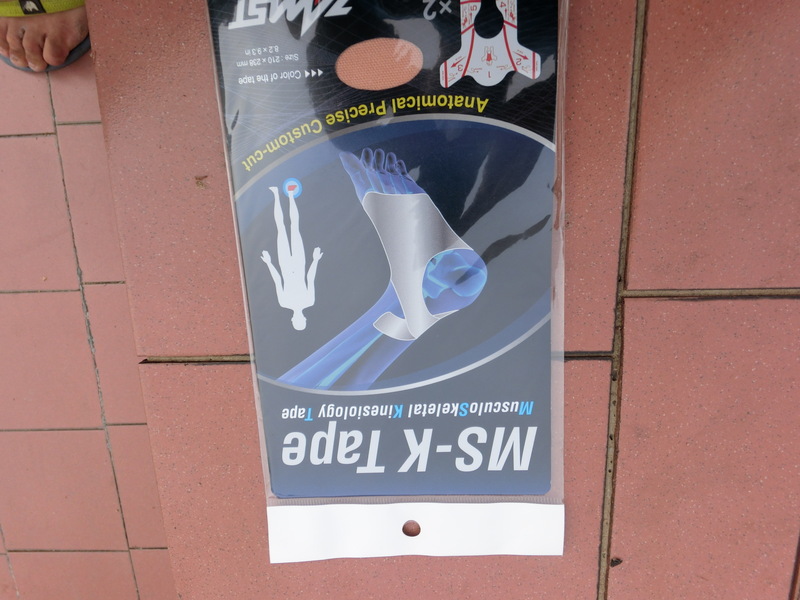 The KAMST Tapes are precut, and by following the simple instructions, Bernardine taped both feet and one on her right niggling knee for Kuching Marathon 2016.